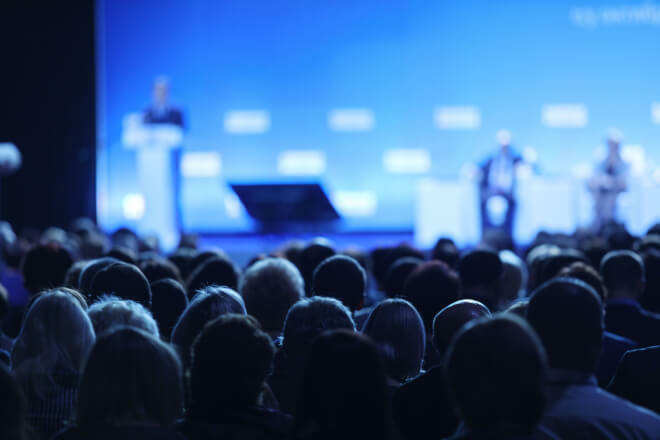 Home Management What Are the the Best Facility Management Conferences in 2019? A new year has begun and it’s time for us to share with you the best facility management conferences taking place throughout 2019, both in the UK and internationally. These events bring together professionals and specialists in the field, and aim to foster the sharing of information and experiences. If you’re a facility management professional, or perhaps just interested in the field, it is definitely time open up SkyScanner and Google Calendar! Get booking. Workplace Futures is a one-day event with a very interesting theme for this year’s event: Surviving FM. This event will address some of the most pressing issues in FM today and will help identify and shape the future of this field. The organisers have promised to share an honest insight into the industry for Workplace Futures 2019, and we have no doubts that it will exceed everyone’s expectations. The Facilities Event will feature some of the industry’s most respected faces who will share fresh ideas on the dos and don’ts of FM. Around 6000 visitors and 200 exhibiting companies make this three-day event a must for any facilities professional. Think about it — 60 hours of CPD accredited seminars… for free! This one-day conference will “provide professionals with the insights, skills, and inspiration to embrace the workplace opportunity and cement its role as core to successful business operation”. Expect a lot of networking and a great mix of theoretical and real-world best practice, as was the case in the 2018 edition. Organised by the Royal Institution of Chartered Surveyors (RICS), this one-day event is unmissable for professionals committed to remaining relevant and competitive in an increasingly unpredictable marketplace. The exact date, time, location and price are still to be confirmed, but you can keep up-to-date in the event’s official website. 6 hours of formal CPD and lots and lots of networking are a sure thing, though. Facilities Show is one of Europe’s leading facility management events. It brings together over 12,000 visitors and 300 suppliers, which makes it the perfect place to make new contacts and grow businesses. A large range of CPD workshops and seminars are also available for you to join for free, making this event a must-attend if you want to improve as a facilities professional. This is a comprehensive and free event for those involved in managing, maintaining and operating facilities of all kinds. Expect conference content addressing day-to-day concerns, the chance to network with many industry experts and to find the latest products and solutions from the dozens of exhibitors who will be there. Organised by the International Facilities Management Association (IFMA) and the Dutch association for facility management (FMN), this 3-day event will feature interactive workshops with plenty of industry experts as keynote speakers and lots of networking opportunities. On 22 March, there will also be tours to three unique facilities in the city of Amsterdam! Facility Fusion 2019 will give you the opportunity to explore exciting technologies and ideas in facility management and to engage with the people who are shaping the future of FM. The event is famous for its personal connections and energy — you’ll surely be able to establish relationships with FM professionals from all around the world. All of this and loads of educational sessions are waiting for you in Georgia, so don’t miss out! FM Expo is considered the largest FM event in the Middle East, and it is one of the chosen sites for opinion/decision leaders to meet. FM Expo offers a wide range of educational events, for instance, through interactive seminars and industry reporting. From the organisers of World Workplace Europe in Amsterdam, this conference will feature sessions sorted in 4 different topics — Technology and Innovation, Smart FM, Operations and Maintenance and Real Estate. It will surely attract the top FM professionals and specialists from around the world. If you feel like visiting Singapore (you should! ), while also learning lots about FM and building great relationships, this one is for you. Previous articleOverstocking: Why Is It Bad and How Can You Prevent It? Next articleWhat Are the the Best Hotel Management Conferences in 2019?